You will be California dreaming in no time when you decide to make Newport Beach your home. Known for its coastal lifestyle and resort like feel, there has never been a better time to look at Newport Beach real estate than now. Sunny skies, crisp blue waters, and spectacular views in every direction aren’t the only reason more people are looking to make the move to Newport Beach. 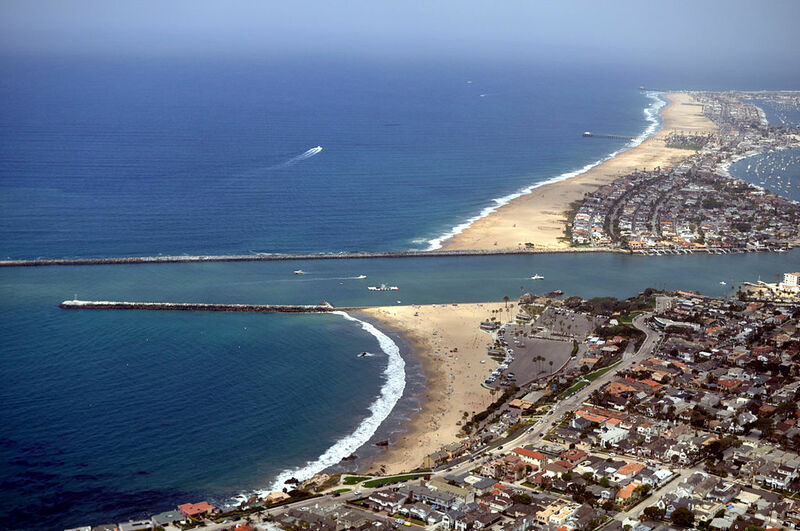 Located within Orange County, Newport Beach is home to many neighborhoods including Corona Del Mar, Back Bay, Cameo Shores, Newport Heights, Newport Coast, Shore cliffs, and the Bluffs just to name a few. Some of the most sought after communities include Balboa Island, Balboa Peninsula, East bluff, and Newport Heights. Balboa Pier and the famous Newport Pier are widely known for great fishing, good surfing, and plenty of sightseeing. Spend time on the beach or take the boat out for the day. Your choice of water activities in the area will keep you busy all year long. The Wedge, found at the tip of the Balboa Peninsula, attracts water babies from near and far for surfing and body boarding. You’ll find the world famous Fashion Island in the heart of Newport Beach for upscale shopping from premiere retailers; Bloomingdale’s, Apple, Louis Vuitton, Macy’s, Urban Outfitters, and Victoria Secret are only a handful of the brand names you’ll find here. School programs in Newport Beach are highly acclaimed and regarded as some of the best schools in the area. Some of the Newport-Mesa Unified School District’s top rated schools include the Mariners Elementary School, East bluff Elementary, Horace Ensign Intermediate School and Corona Del Mar High School. You’ll also find Our Lady of Queen Angel School, Carden Hall Inc School, and California Pacific Charter School as some of the private school options in Newport Beach.